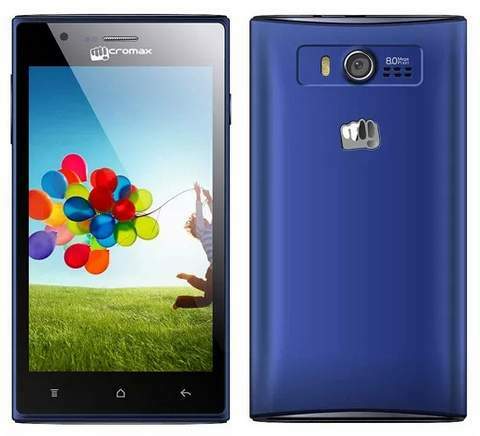 Micromax A075, the latest budget dual core smartphone from Micromax is now listed on HomeShop 18. The A 075 comes with 5.2 inch WVGA display and 1.2 GHz dual core CPU. Like other phone the A075 also comes with Dual SIM support. It runs on Android 4.0.3 ICS operating sytem. The phone has fancy look, but it is 10.8mm thick and weighs 225 grams which would make it bulky. The phone will compete with Xolo A500s, Spice Mi 436, Gionee Pioneer P3, Karbonn Titanium S5i and other mid rangers. It seems that company has partnered with Aircel to offer Free Data. The Micromax A075 comes with a free flip over and is priced at RS 6,499. The handset looks attractive at this price tag, if we just left the outdated Android OS version. hello harpal. any news about gionee m2,ctrl v5,pioneer p4 or huawei honor 3c launch?